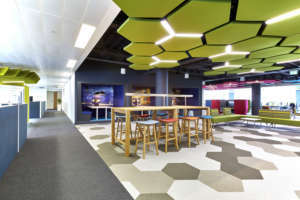 We were thrilled to design and fit out the new Birmingham offices for Spark 44, the creative agency behind Jaguar’s successful global advertising campaigns. 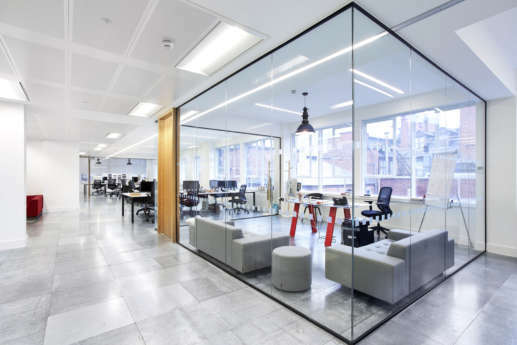 We hit the ground running, with numerous workshops and showroom visits, as Spark 44 needed to move from their existing offices at Trinity Park to the centre of Birmingham quickly. 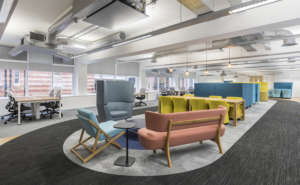 The new office design required advanced technological production facilities for 200 staff, new creative environments, collaboration spaces, natural lighting and bold feature joinery. 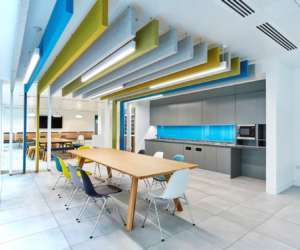 We also created meeting rooms, breakout areas, a new kitchen-café and mixed collaboration space. 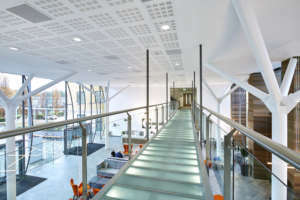 Another major requirement was a central event space where staff can meet for lunch, film nights and launch parties. 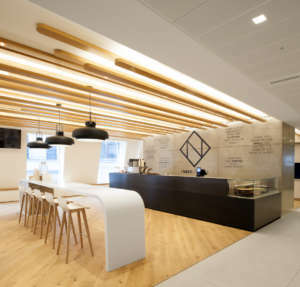 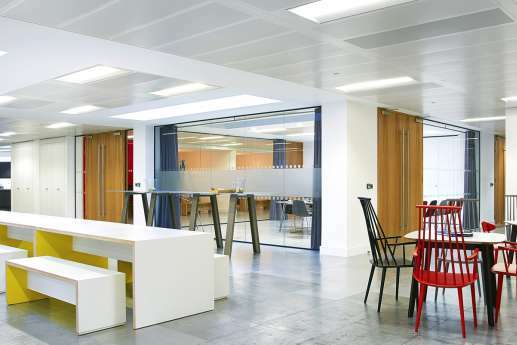 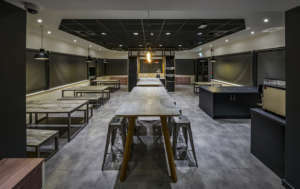 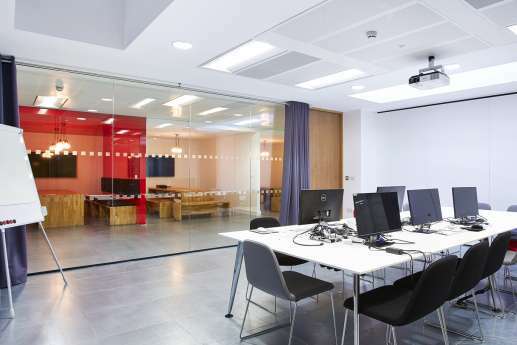 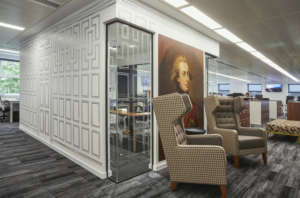 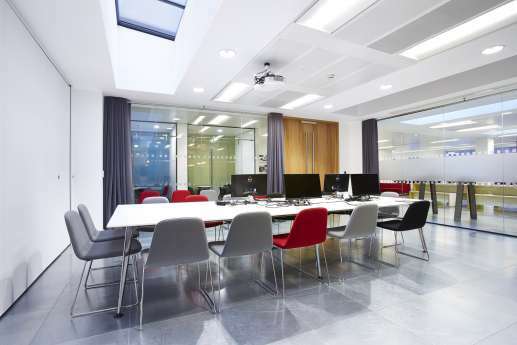 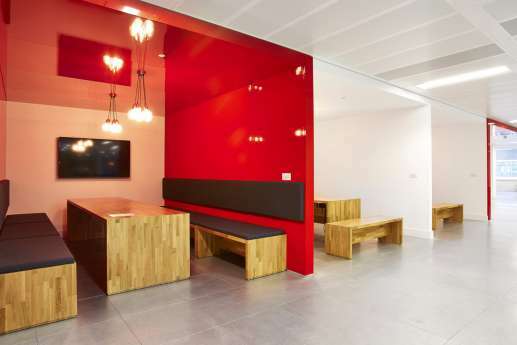 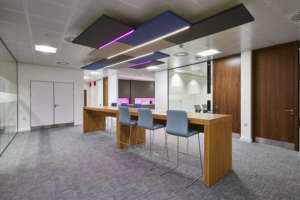 We fitted it with bespoke joinery, and designed it with exposed raised floors with workstations all around the perimeter, for a light and creative environment.